Rating: 1 Yet another scam that claims to be the real 'illegal' deal. The Good: The "documentary" shown on the sales page is quite convincing- at least at first. Kudos on a production number that tempts people to buy pirated software. The Bad: If there was a pirated software program to purchase, you'd at least be getting something for your money. In this case, there is no software- just another brokerage commission to be made by the scammers. 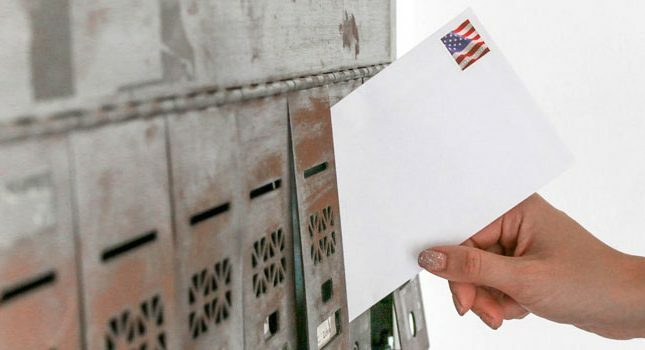 The Bottom Line: Stay away from this "undercover" scam. Better yet, invest your time and money in a business model that actually works. “Going undercover with Paul Connor” sure sounds legit, and even features this YouTube-like video with many inserted BBC news clips. This is because Online Black Market doesn’t start out by promising you easy money, fast cars and luxury vacations. 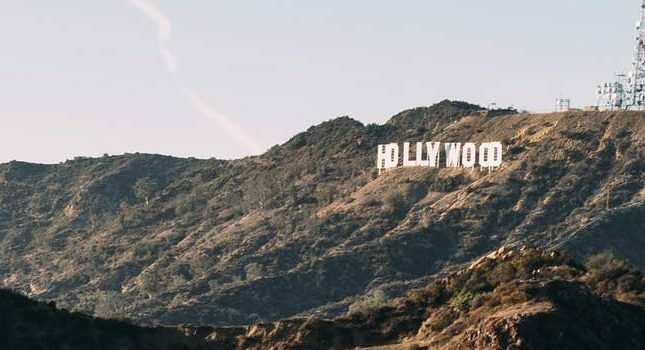 Instead, it claims to take you on a journey into the seedy underworld of online scammers and traders who do business in the so-called “online black market.” Here, everything imaginable is up for sale- including a powerful trading software initially developed by a top trading firm. Wait a minute…I’ve heard this line before. Paul Connor here from The Online Black Market. We hope you enjoyed our short documentary. Documentary making is my passion but when making money is this easy we thought it would be cool to share it! We have worked hard bringing all this together and targeting the scammers who have been peddling this rubbish to you. I don’t know if you have acted yet but I strongly recommend you do. OBM is closing its doors very shortly but you do have time to cash in. I don’t want you to miss out on this opportunity to finally own your very own cash spitting bot and then hear about how great it is from someone else. I won’t keep you any longer, below is all the information that you need. 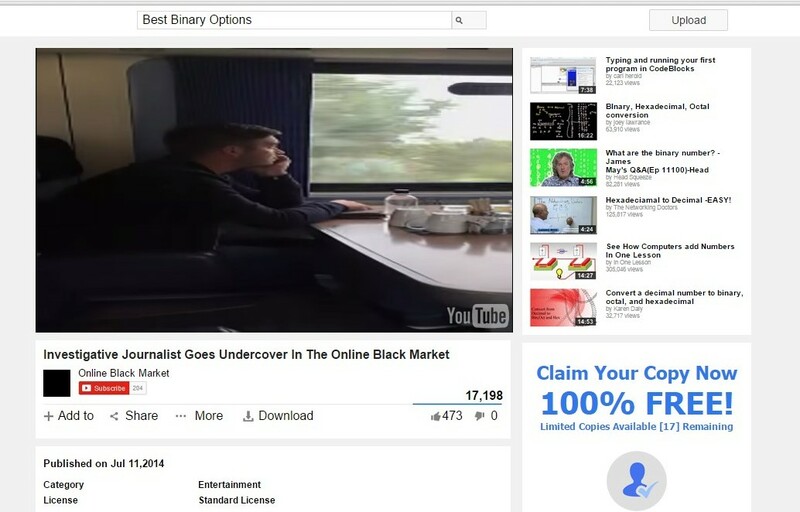 The marketers behind Online Black Market aren’t out to expose any shady online marketers. No, they are only using the appeal of their “investigation” to feed you yet another useless piece of binary options trading software that goes by the same name as the program. All the typical marketing ploys are used, including the limited time only, “there are only 10 spots left,” and exclusive membership ploys. And Paul “Con”nor does eventually slip and start talking about his boat and Lamborghini. This software is “matched” to a binary broker that fits your geographic territory. In this case, the broker in question is BinaryBook. So, the point of the software is to get you to sign up for and fund a binary options trading account. Supposedly, then, that account will work with the software to place trades for you. Personally, I’m not a big fan of letting any software operate without my input by placing trades for me. That would mean that the software has access to my account and my money. What’s to stop the auto trader from putting my account into a tailspin of bad trades and/or increasing margin? Luckily, I doubt you’d ever receive margin calls from your broker or have any trades executed by this software. Why do I say that? Because I’m convinced that Online Black Market’s auto-trader doesn’t even exist and the whole point of this ruse is to simply score an affiliate sale. This instantly alerts me to the real deal behind this program, which is to make an affiliate commission from a trading broker. With $250 commissions being paid out to affiliates, it’s no wonder that this “software” is being touted all over the Internet. 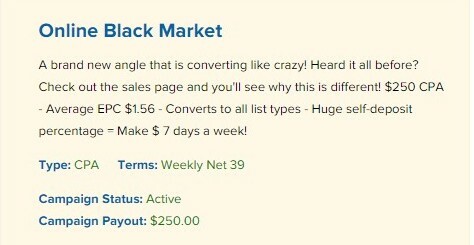 After performing a Google search on Online Black Market, I received several results pages filled with glowing “reviews” from other affiliates who are using and profiting from this software. Every one of these reviews is linked to the same brokerage via affiliate links. Let’s say you do decide to open an account via the Online Back Market. What can you expect- or rather, not expect? No chat support. The platform offers “live” chat support at any time of the day. Because Online Black Market is based in the U.K., I figured that Paul might be asleep at my CST time of 11 am. So, I tried chatting with Paul several times, including 11 am, 11 pm, 3 pm, and 7 pm. Nada. Zip. Zilch. The live chat is always offline. 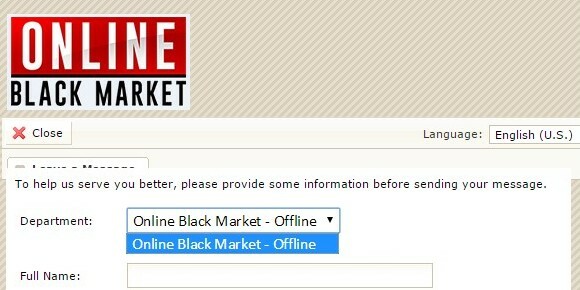 Online Black Market: permanently offline. No live video feed. Paul claims that you can watch him live via his video feed. However, when you click on his video feed link, it’s merely a pre-recorded 9 minute and 39 second segment of him sitting in front of his laptop and then walking away. That’s it. The bottom line with Online Black Market is that it’s not some big-name and illegal software being touted on the black markets. There is no pirated software. There is no victimized “top trading firm.” And there is no Paul Connor.